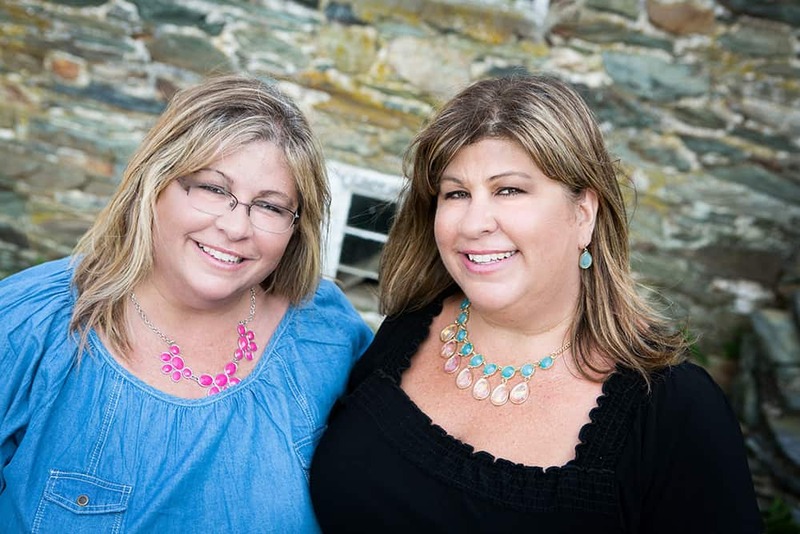 You know what I love about Weight Watchers recipes? You don’t have to be following their diet to enjoy them. 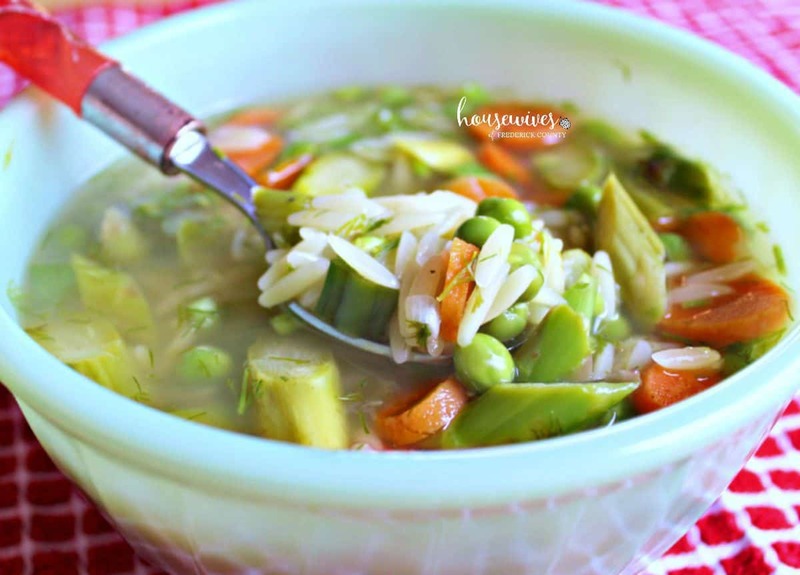 I found this recipe for Asparagus Orzo Soup in one of my Weight Watchers pamphlets when I was going to the meetings. I don’t go to the meetings anymore, but I still enjoy making healthy meals that don’t taste like you’re on a ‘diet’. 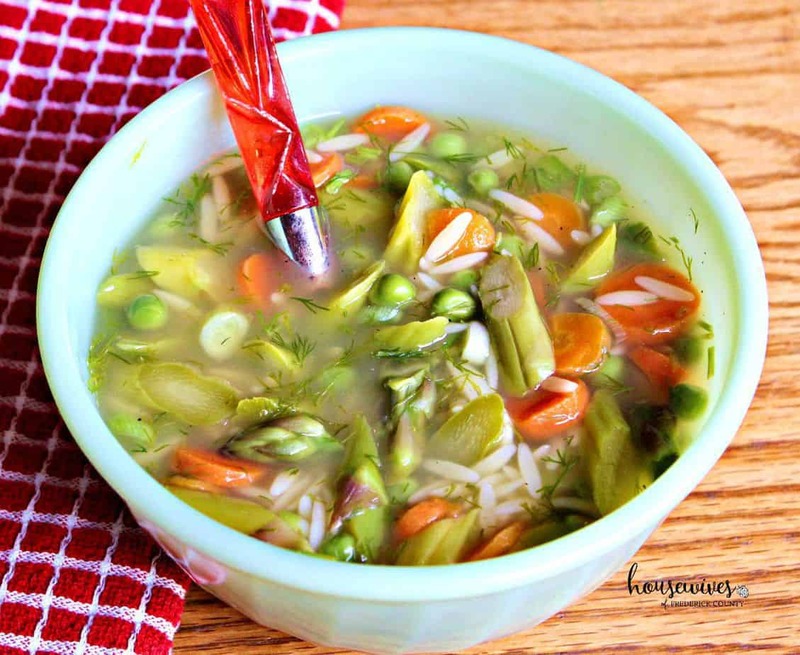 This Asparagus Orzo Soup totally fits the bill! 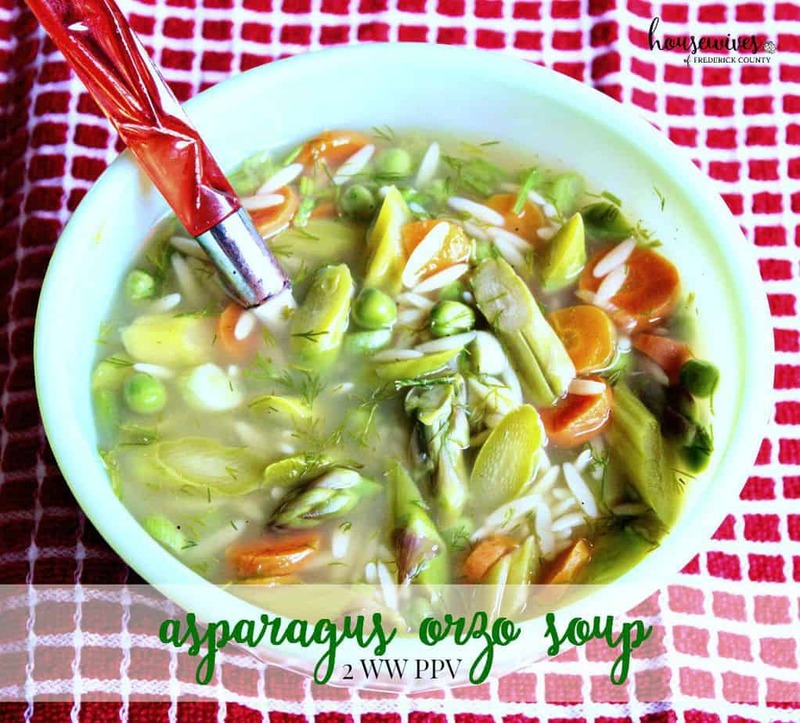 The Weight Watchers version of this soup is called Spring Vegetable Soup with Orzo. But I like to think you can eat this year-round. I love how it is chock full of orzo and veggies, with asparagus being one of my favorite veggies. One thing I would change next time I make this would be to omit the lemon juice and the dill. I think these two ingredients are what put the ‘Spring’ into the Weight Watchers version of this soup. But, I didn’t like the taste of lemon and dill with the rest of the ingredients. I feel like it would taste heartier without the lemon and dill. When you make it, decide on your own whether or not to include these ingredients and let me know what you think. 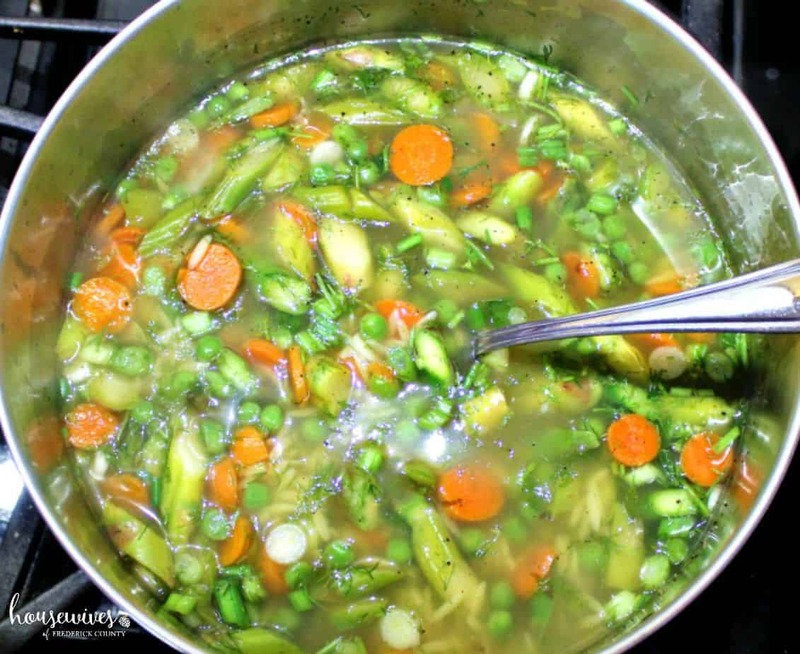 This soup is a great vegetarian option for those who don’t eat meat. 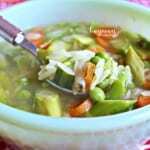 If you do eat meat, you could add in some chicken and make an even heartier soup. Or, to keep it vegetarian, add in some tofu to make it more of a stick-to-your-ribs kind of soup. Bring broth to a boil in a large saucepan over high heat. Add orzo and carrots; boil 7 minutes. 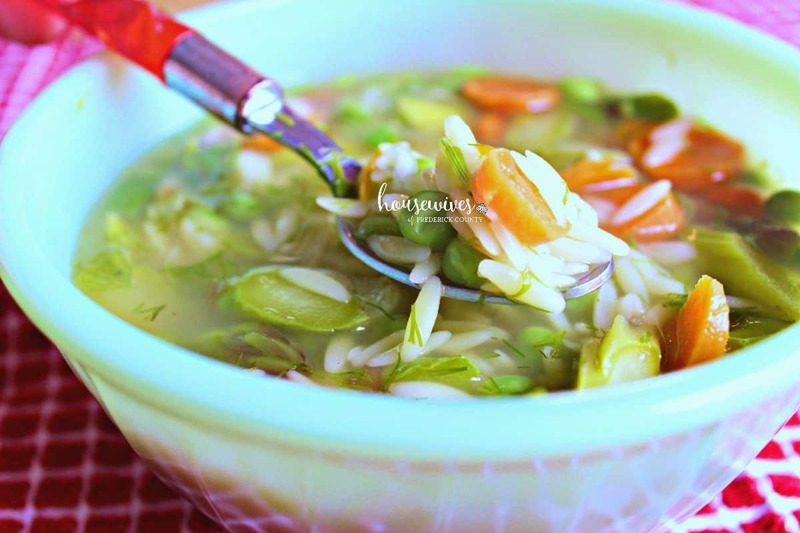 Add asparagus and frozen peas; boil until orzo and vegetables are tender, about 3 minutes. Remove from heat; stir in scallions, dill, lemon juice, salt and pepper. Yields 1 cup per serving. What healthy soup recipes do you have in your arsenal?